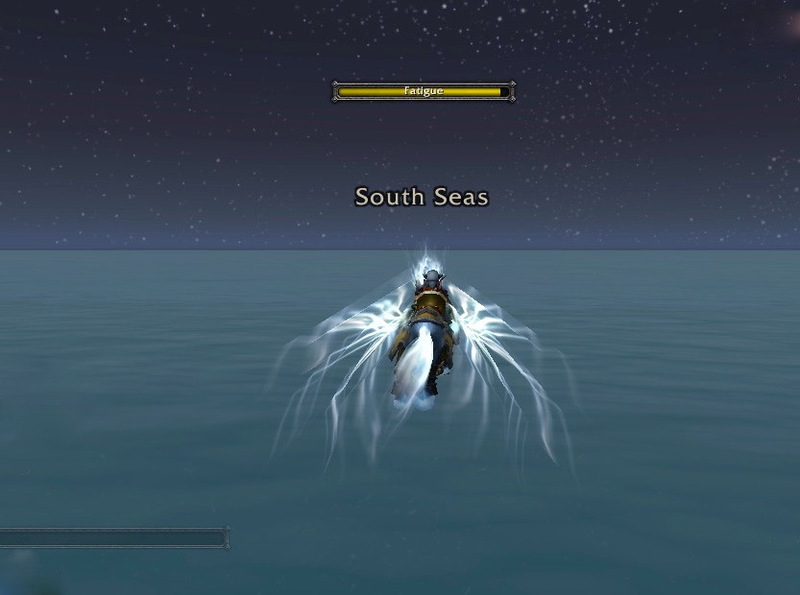 In episode number five of Skolnick’s Warcraft Less Traveled podcast, he talked about the Tanaris Underwater Mining Village. 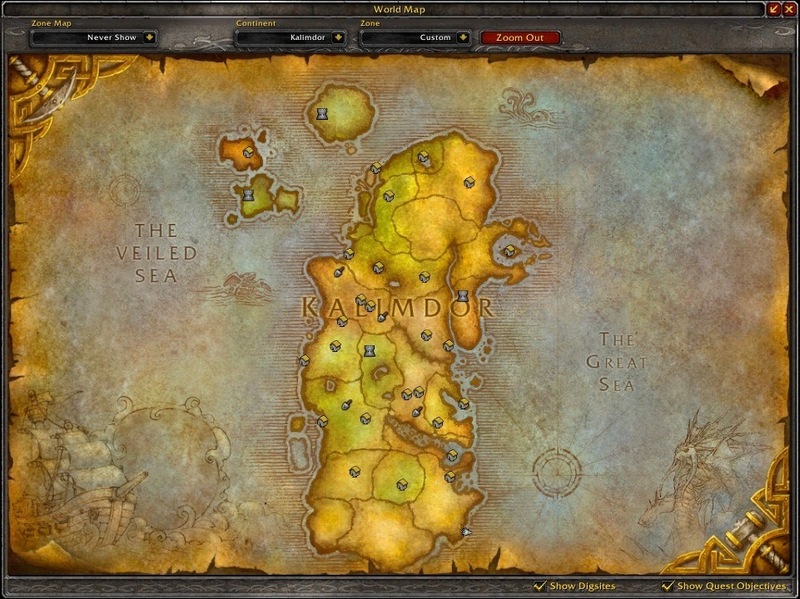 This was a location that I tried, many times, to get to before Cataclysm. Sadly, my attempts all ended in failure. Therefore, I don’t have any personal screenshots to show you of what this location looked like before Cataclysm. After Cataclysm, Hansbrix and I attempted to try and find the Tanaris Underwater Mining Village, hoping it was still there. The screenshots you see in this blog were taken on January 10, 2012. Here is a video of what the Tanaris Underwater Mining Village used to look like. This is not my video. 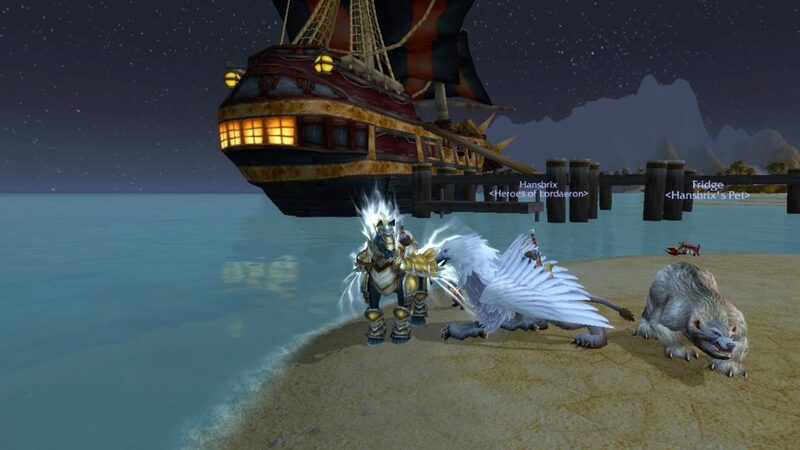 It was created by ReqLeBeax, who successfully visited the Tanaris Underwater Mining Village before Cataclysm. I now understand why I had such a difficult time trying to get there! I wondered if the Tanaris Underwater Mining Village still existed after Cataclysm. 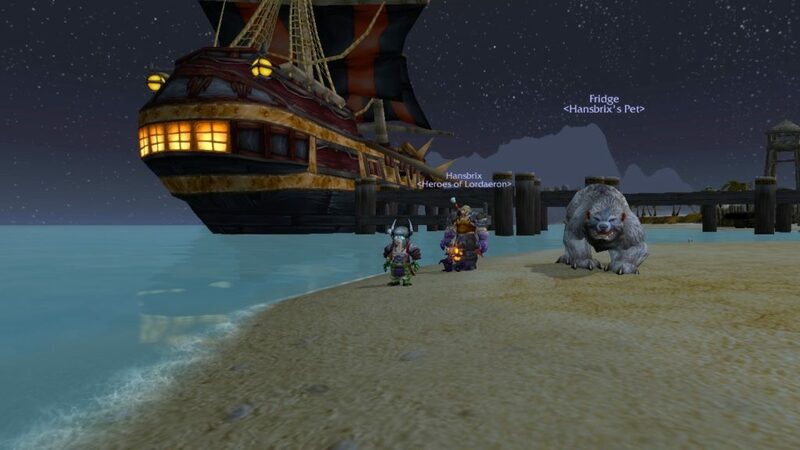 Hansbrix and I went to the coast of Tanaris, to make an attempt to find it. Based on my past experiences, I wasn’t too optimistic about being able to successfully get there. This time, we didn’t have to swim all the way out there. Our plan was to fly to the right area, and then dive. We were aiming for where the compass appears, in the Great Sea. 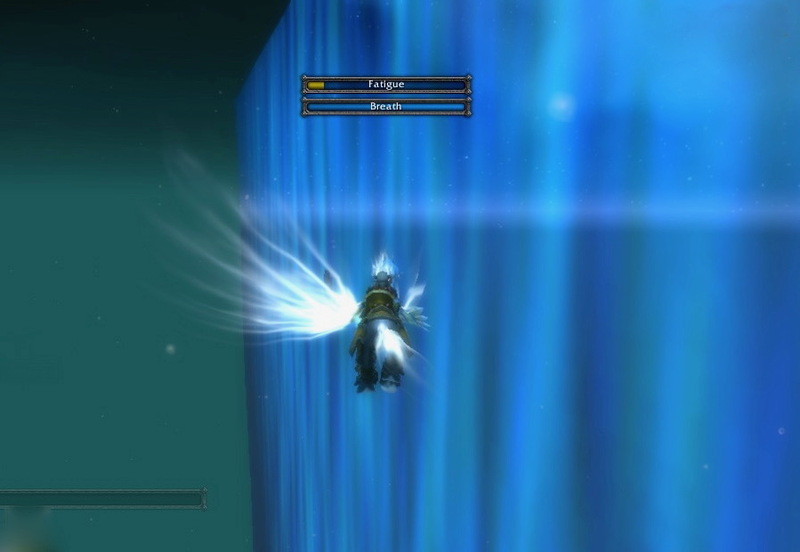 The problem was, I wasn’t sure if this compass was actually at the same location that it used to be in before Cataclysm. Flying out there gives you just as much fatigue as swimming does. Long before we reached the spot that would have matched up to the compass on the map, we found an unexpected surprise. What’s this? A bright, shiny, blue wall prevented us from traveling any further.We couldn’t go through it, or over it. Attempting to swim underneath it also proved impossible. 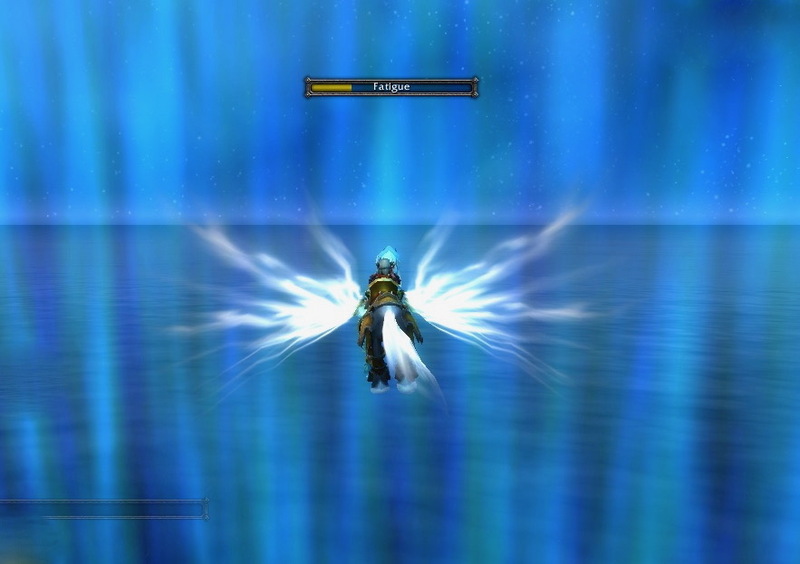 It looks like the Tanaris Underwater Mining Village is not something that players can get to anymore, after Cataclysm. Perhaps it is still out there, beyond the impassable blue wall, quietly existing under the water, with no visitors to disturb it.